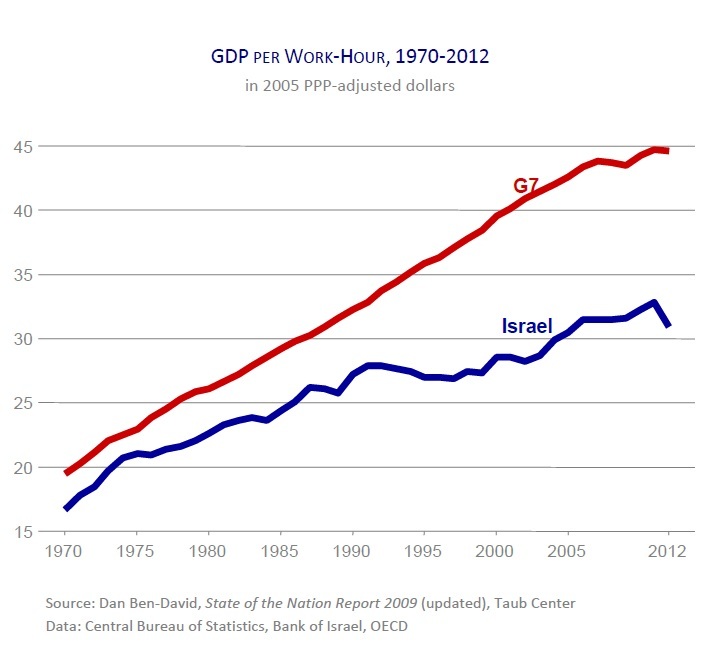 Israel’s economic growth over the past several decades reflects a unique – and unsustainable – blend of factors. The country is one of the developed world’s leaders in innovation, a central component in the productivity growth that drives economic growth. However, its productivity is among the lowest in the developed world, and has been falling further and further behind other leading countries since the 1970s. This chapter focuses on some of common factors underlying Israel’s low productivity and provides a sector by sector comparison of productivity, capital formation, and wages across countries. This paper appears in the Center’s annual publication State of the Nation Report: Society, Economy and Policy 2013.